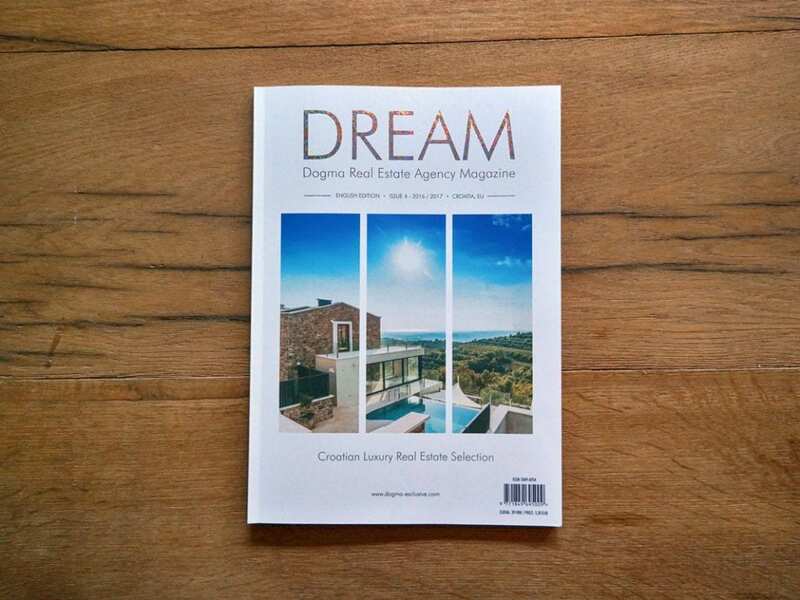 For Dental studio Koran, we have created an attractive ad design for exclusive newspaper “DREAM” (Dogma Real Estate Agency Magazine). According that many advertisers in this newspapers are of high profile, we wanted to design an ad that would be completely original attractive and unique. 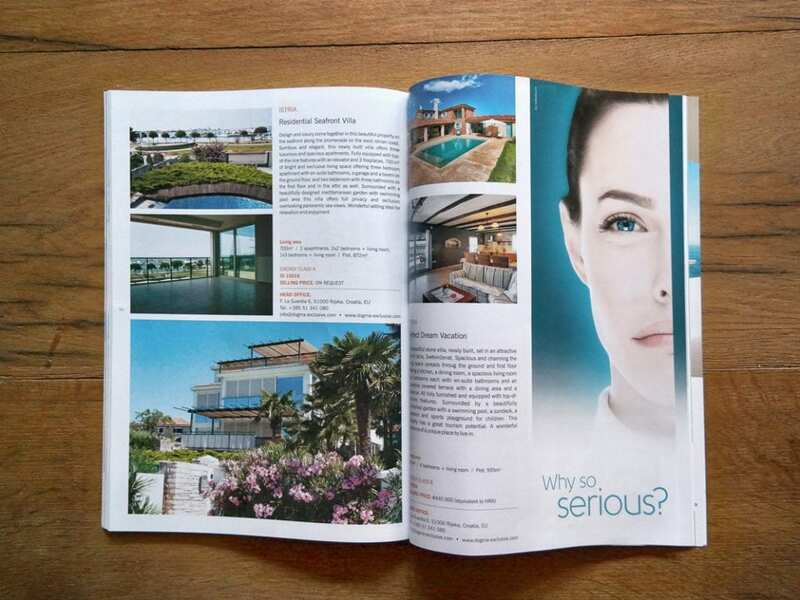 Team of designers and copywriters worked on this project and with synergy of specific knowledge and skills, we achieved superior aesthetic and commercial result. 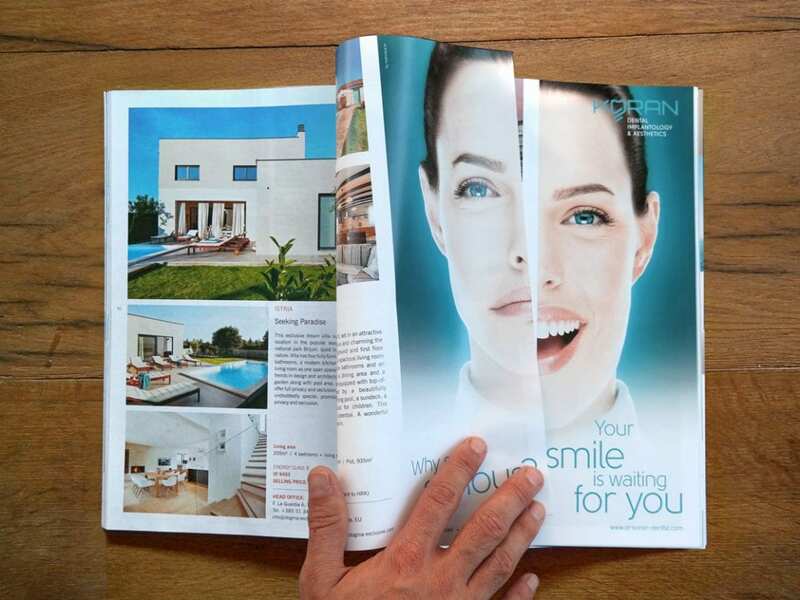 The concept of the ad is to appeal to all those who have problems with their teeth, and are ashamed of their smile, to contact dental studio Koran and ask for their new smile. Visual on the first page is very pale in accordance to present a mood with subtly broaching visual identity of the customer through the color and typography background. Other visual and its and vivid colors represents a great mood of patients of dental studio Koran and their satisfaction with – their service, attitude towards the patient and the results of therapy. 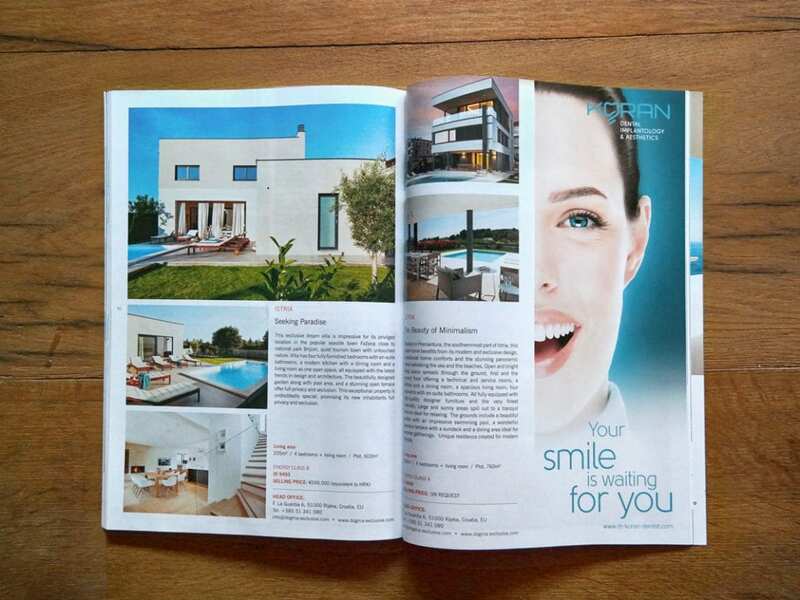 Ad design included the discovery and selection of appropriate visuals that will fit in the designed concept, then design the textual part of your ad and graphic design of all elements in a visually attractive unit. 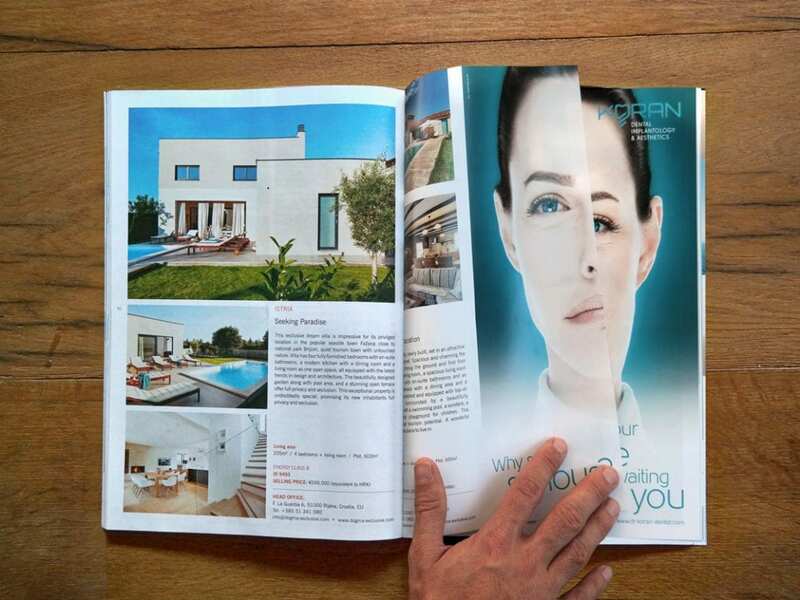 Ad design subtly invites readers to interact, overlap the ads and connection into a single unit.